Casey likes to use a digital compact camera to make his videos. After making videos that went viral, using basic equipment, he was tapped by Nike to make a commercial. The ad-hoc video he made from that trip, entirely shot on a point-and-shoot camera (Canon S120), was accepted by Nike and the ‘commercial’ has now over 10 million hits on YouTube. 1. The camera you use is not important, and actually using ‘crappy’ equipment might work to your advantage. 2. Having limitations can create awesome things and can cultivate a unique style. 3. It’s all about the story. Story telling. Telling stories. The STORY. People like to be engaged and a video with a strong hook will pull in audiences even if it’s shot on a crappy camera phone compared to expensive DSLR footage that’s only about scenery that admittedly looks incredible. 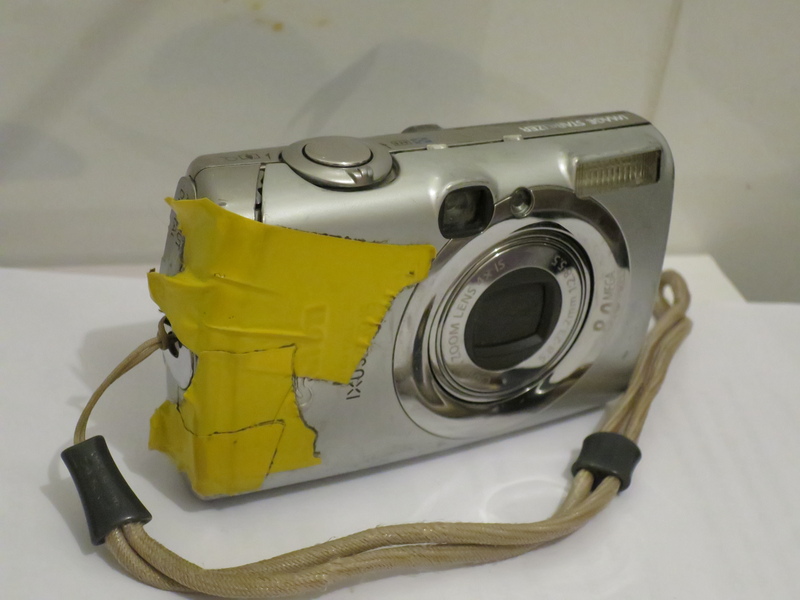 My seven-year-old compact digital camera which I have now replaced. It still works though – the three pictures below were all taken with this camera over the past two years. So I’m going to start doing that then. I bought a Canon S120 (for £270 ’cause my old compact camera is literally falling apart) and downloaded Windows Movie Maker. That’s right, the free-to-download most basic video editing software available. It might sound amusing, but hey at least I’ve started. I’ll keep you updated when my first video hits and where it may end up.